Many of us have said these words, or something similar, at least once on our lives. The belief that’s often behind these words is our injury will heal on its own. In many cases, the body does a good job of healing itself, but some injuries, especially sports injuries, should be professionally assessed and cared for if the athlete wants to recover their pre-injury state, and continue to improve. Chiropractic care is a great first step in determining the true cause and full extent of a sports injury. Once diagnosed, your chiropractor has an array of healing tools, techniques and technologies that can be used to treat your injury and return you to physiological health. One of the key components to sports injury treatment is timing. The injury should be viewed from the perspective of returning you to your sport or activity as soon as possible. Research shows that optimum recovery occurs when a sports injury is treated promptly. To effectively treat your sports injury, your chiropractor will assess the state of your entire neuro-musculoskeletal system. While you may have simply sprained your ankle, by assessing your body’s whole function, your chiropractor can assess the severity of your injury and its impact on the rest of your body. Your chiropractor may also detect an underlying cause such as a muscular imbalance or joint misalignment. Sports induced injuries have unique characteristics that chiropractic treatment is well suited to handle. Athletics and training programs often stress the same muscular groups repetitively. This can lead to imbalances throughout the body which make an athlete more prone to specific injuries . The good news is, because athletes are generally in good physical condition, they often respond to more intensity to their recovery programs. Sports injuries can be classified as chronic or acute. An acute injury is one that occurs suddenly and has a clearly defined cause. An injury becomes chronic when pain persists for weeks or months. With respect to treatment of an acute injury, the goal is to get you back in the game as soon as possible with efficient healing. For chronic pain or injuries, chiropractic sports injury treatment takes a slightly different tack. To help you overcome the underlying issues, Dr. Boyne begins by taking an objective observation of how your body functions. Since chronic pain is often a result of dysfunctions you might not be aware of, this initial observation become the key to diagnosing the root cause of the issue. Once diagnosed, an effective treatment plan can begin. This is where our services such as healing technologies, preventive care and training programs can begin to work their magic. 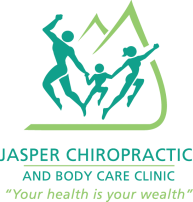 How can a chiropractor can make a difference? Chiropractors focus on the muscular and skeletal systems. Proper skeletal alignment and joint function are crucial to your optimum recovery and your ability to return to your sport or activity as soon as possible. With a thorough assessment, Dr. Boyne can determine if a weakness or imbalance in your body precipitated the injury, or influenced its severity.Manipulations to re-align affected areas can prevent improper movement as you recover, and help avoid further problems that often arise from overcompensation. The use of healing technologies can help to speed up recovery. You can also expect to learn exercises and stretches that will enhance your recovery and help to prevent recurring similar injuries. Sessions in the far infrared sauna may also be of benefit in getting you back on track. You don’t have to be an Olympian or a professional to be considered an athlete. Anyone who pursues an physical activity they enjoy should consider themselves one. The human body is meant to move, that’s why the sooner you seek sports injury treatment, the better your chances for an effective, full recovery. Even if it seems like something minor, an appointment with your chiropractor can shed some light on how to make sure it heals properly and avoid a re-occurrance in the future.